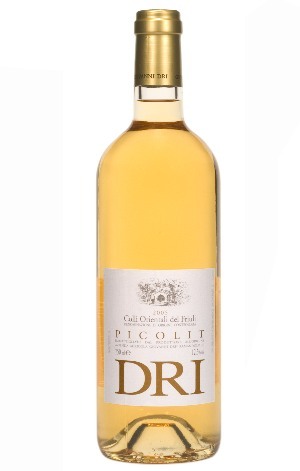 Picolit is an indigenous grape produced in tiny quantities in the cool climates of the Colli Orientali. The pallor of this precious passito (Giovanni Dri makes only two barrels a year), and the delicacy of its soft, floral aromas belie the elegant intensity of its flavour where creamy honey, white flowers, white peach and marzipan are beautifully balanced by a refreshing zip of acidity. A’ vino da meditazione’.